The Legal Team Of IPOB, have secured Bail in the High Court Of Abia State for Four Biafran Activists, detained in Aba Prisons. 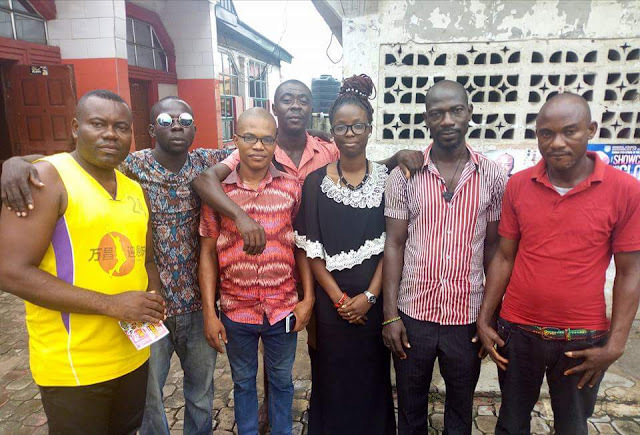 The activists who are victims of Operation Python Dance declaration, were abducted by the Nigeria Army on the 12th Of September 2017 at Isiala Ngwa Junction along Aba-PortHarcourt Express way and remanded in Aba Prisons, as ordered by the presiding Chief Mag. L.O Ugbaja(Mrs). Ifeanyi Jeff who spoke on behalf of the victims, expressed their Gratitude towards IPOB led by Citizen Nnamdi Kanu, for granting abutment to them while on detention and her unrelenting effort towards their legal release from Prisons. The victims thunderously vowed never to capitulate on the struggle and reaffirmed their support towards the restoration of Biafra.